Advertising is all about standing out and making a lasting impression. The E-Z UP Advertising Tent makes sure this works out. 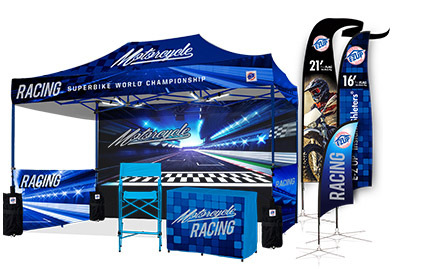 This Advertising Tent is completely printable in more than 22 colours. 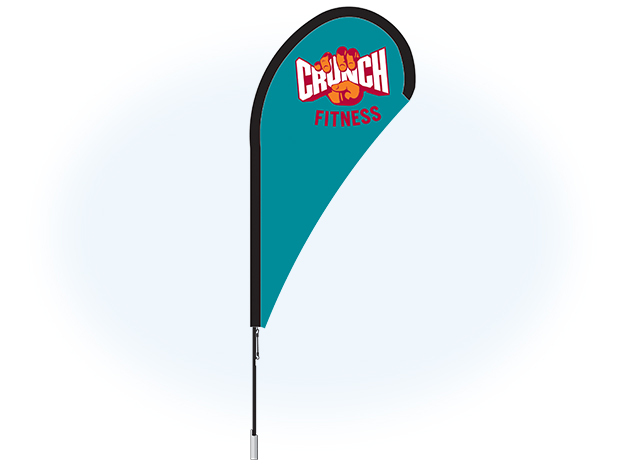 Our team of talented graphic designers will ensure that your tent is decorated with a print to be proud of. Advertising is all about standing out and making a lasting impression. The E-Z UP Advertising Tent makes sure this works out. 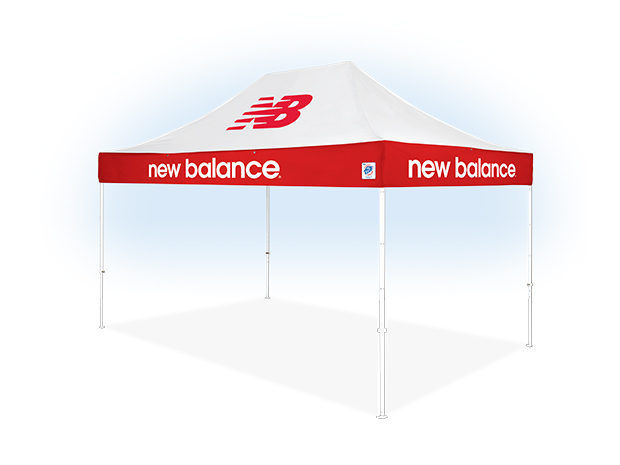 This Advertising Tent is completely printable in more than 22 colours. Our team of talented graphic designers will ensure that your tent is decorated with a print to be proud of. 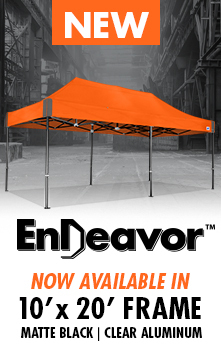 The E-Z UP Advertising Tent is the most suitable tent if you need to stand out at an event and/or an exhibition. 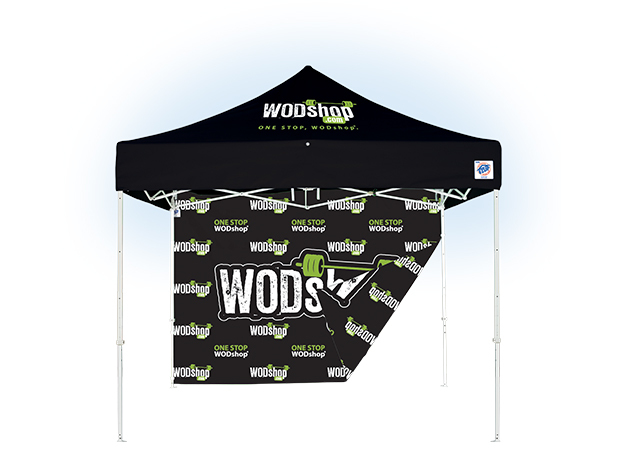 This Pop Up tent is not only remarkable, but also serves well as a striking and elegant entrance for your guests. Standing out at an exhibition or event is not always easy. With an E-Z UP Advertising Tent however, this is a piece of cake. Our team of graphic designers will work until you are satisfied, for this reason you can receive unlimited free proofs. This will ensure you stand out in the right way. 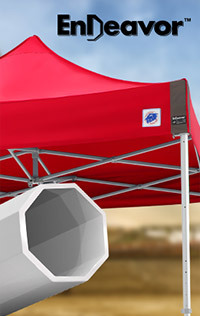 The E-Z UP Eclipse can be used extremely well as Advertising Tent. 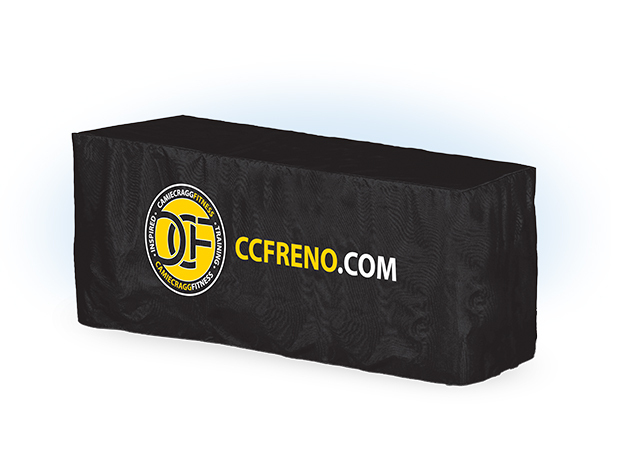 This tent distinguishes itself from the competition by a 7-year warranty, its striking colours and fireproof materials. 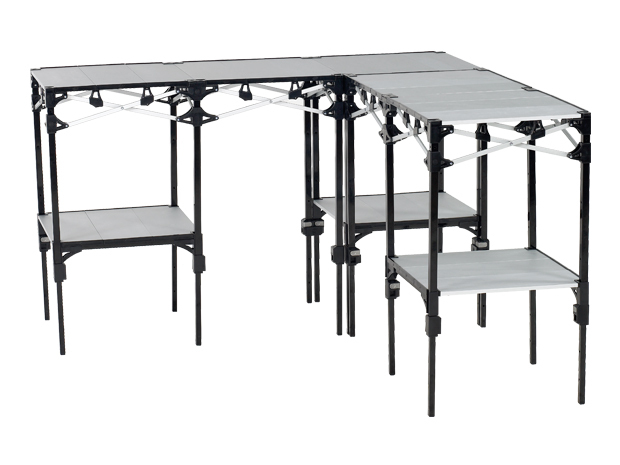 Moreover, the tents can be extended with practical and attractive accessories, such as beach flags, table covers and director's chairs. Are you unsure whether the Eclipse Advertising Tent is the best choice for your business? Please contact one of our account managers. They are happy to help you.